This item is an image. It was created by an unknown creator on or around the date time period: 1910s1920s. 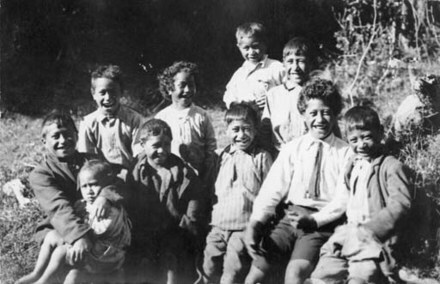 A group portrait of ten Maori children.